Mark your calendar! StrictlyVC's sixth(!) 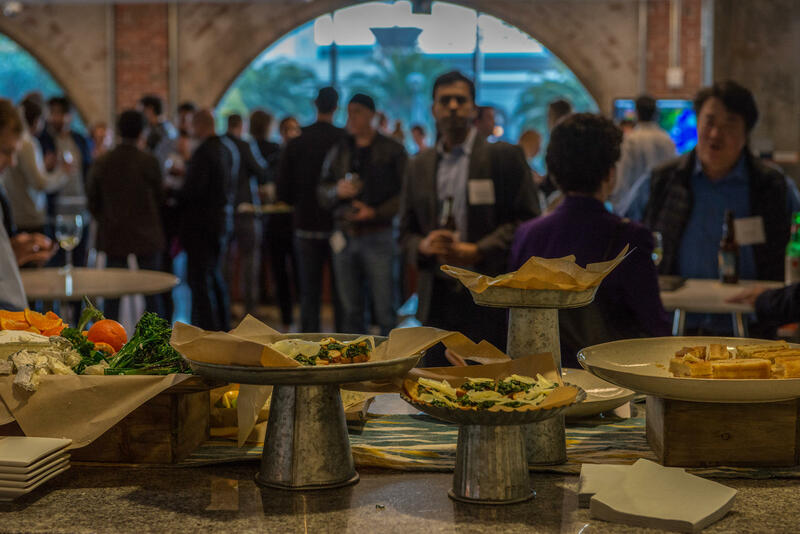 INSIDER Series event takes place Wednesday evening, February 8, at the elegant Autodesk Gallery at 1 Market Street in San Francisco. If you want to mingle with some of the smartest operators in the tech-investing ecosystem, you won't want to miss it. 1.) Venture capitalist and startup whisperer Brad Feld on demystifying the startup funding process in 2017 (and more). 2.) Cowboy Ventures founder Aileen Lee in conversation with Accompany cofounder and CEO Amy Chang on creating the world's second-largest people database after LinkedIn. 3.) Roivant Sciences founder Vivek Ramaswamy on building a billion-dollar pharmaceutical company out of thin air. 4.) Tusk Ventures founder and longtime political strategist Bradley Tusk on becoming Silicon Valley's favorite fixer -- and what startups can expect with a Trump presidency. 5.) Emily Weiss, founder of the young cosmetics company Glossier, in conversation with IVP general partner Eric Liaw on how she managed to build a cult following around her products -- and where she's taking the company next. Power operators Amy Chang and Aileen Lee on the rise of Accompany. Political strategist turned startup advisor Bradley Tusk on what founders need to know to navigate today's changing regulatory waters. Millennial Vivek Ramaswamy is trying to create the next pharma giant. Can he pull it off? Glossier founder and CEO Emily Weiss with IVP's Eric Liaw on building a next-generation cosmetics brand, online and off. A deep dive and Q&A with Brad Feld. Venture capital designed for hardware. Discovering innovative companies and the people behind them. Brad Feld has been an early stage investor and entrepreneur since 1987. Prior to co-founding Foundry Group, he co-founded Mobius Venture Capital and, prior to that, founded Intensity Ventures. Brad is also a co-founder of Techstars, and he authors the very popular blog, Feld Thoughts. Aileen Lee is the founder of the early-stage venture firm Cowboy Ventures. Before Cowboy, she spent roughly a dozen years with the venture firm Kleiner Perkins Caufield & Byers, where she worked with numerous companies, including Bloom Energy, Blue Nile, Rent the Runway, and TellMe. Aileen, who has degrees from MIT and HBS, has also held operating roles at Gap Inc., The North Face, and Odwalla and started her career at Morgan Stanley. Bradley Tusk is the founder of Tusk Ventures, which has gained a foothold in Silicon Valley by working closely with companies like FanDuel and Tesla that are disrupting highly regulated industries. Tusk is also a longtime political strategist who was formerly Mike Bloomberg's campaign manager. Not last, he runs seven-year-old Tusk Strategies, which develops and runs political-style media campaigns for a host of Fortune 500 companies. Amy Chang is the cofounder and CEO of Accompany, a startup that's building the second largest database of people behind LinkedIn -- all in the service of becoming a virtual personal assistant for users. Chang -- who has raised $40 million for the company -- was a product manager at eBay before becoming the global head of product at Google, where she spent seven years. She's also Cisco's youngest board member. Vivek Ramaswamy has been making waves in the biotech world since creating his company, Roivant, in 2014, to acquire drug candidates that have been forgotten or abandoned for largely strategic reasons. Investors love him for it, too; they've given him more than $1 billion in funding to date. In exchange, the Yale Law School grad and former hedge fund analyst has delivered them the biggest biotech IPOs in 2015 and 2016 through two spin-off companies that Roivant has created around separate drug candidates. A former fashion assistant and contributor for Teen Vogue and W magazine, Emily Weiss started her beauty blog, Into the Gloss, to focus on what she concluded was a lack of beauty product coverage elsewhere. By 2014, the NYU grad had launched a beauty line, Glossier, with four products. That small portfolio that has since turned into a beloved brand that regularly racks up waiting lists for its brow gels and serums and has attracted $35 million from investors along the way. Eric Liaw is a general partner at the later-stage investment firm Institutional Venture Partners, which he joined in 2011 from Technology Crossover Ventures. Earlier in his career, Eric, who has undergraduate and graduate degrees from Stanford, worked in Morgan Stanley’s tech investing banking group. Eric sits on the board or is board observer of a wide variety of companies, including Glossier, The Honest Company, GitHub, and App Annie. Semil Shah is the founder of Haystack, a series of micro-seed funds that count among their portfolio companies Instacart, DoorDash and Managed by Q. Semil is also a venture partner with the cross-border firm GGV Capital and a frequent guest editor for StrictlyVC. Before jumping into investing, Semil worked at Rexly (acquired by LiveNation) and Swell (acquired by Apple), helping build and market consumer-facing digital media mobile applications. Connie Loizos is a longtime journalist and the founder of StrictlyVC, a news organization centered around a daily e-mail newsletter that provides readers in the startup industry the news they need to start their day. Connie got her start in Silicon Valley at the original Red Herring magazine in the late '90s. In addition to running StrictlyVC, she is Silicon Valley Editor at TechCrunch.